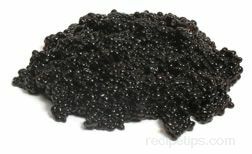 Black velvet-like to dark brown in appearance, this variety of roe is harvested from an ancient species of fish common in back waters of southeastern U.S. or southern Canada. Common in early Cajun cooking, the Bowfin was referred to as "Choupique" by the Cajuns settlers and continues to be referred to by this name, as well as Cypress Trout. Not highly sought for its meat, the Bowfin contains many bones and is not very flavorful. 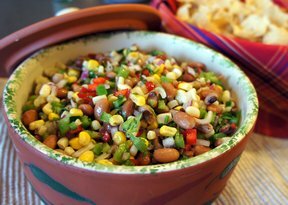 However, the roe from the Bowfin that is processed into caviar provides an inexpensive appetizer with a distinctive and somewhat spicy or tangy flavor. When baked, the Bowfin caviar changes from velvet black in color to a distinct red. 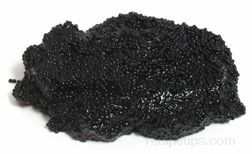 If substitutes are required for recipes, consider using caviar from beluga, hackleback or sturgeons that are black in color or grey varieties that include paddlefish and sevruga.